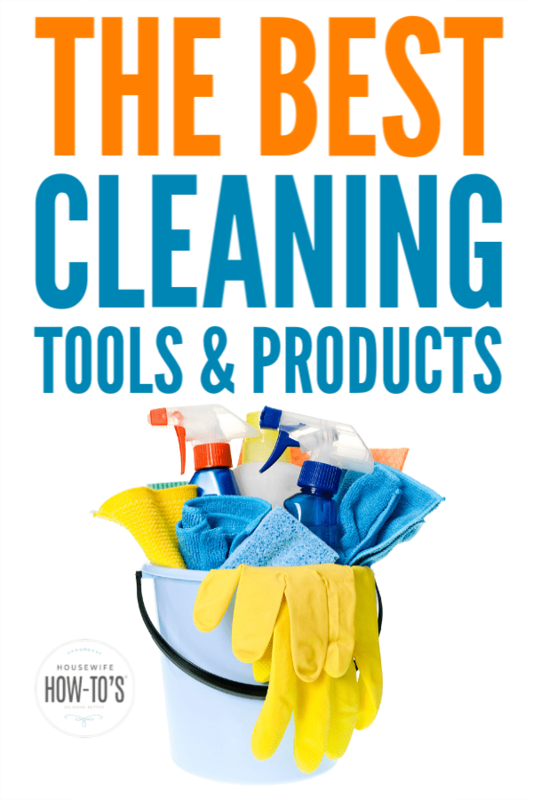 Recommended Cleaning Products and Household Tools that WORK! I created this Recommended Cleaning Products and Tools page because I don’t like wasting money. You probably don’t, either. But when you’re shopping for cleaning tools or other household items, it’s so easy to get sucked in by sales pitches or fake online reviews. These are items that I have bought to use in my home and personally recommend. You can read below why I like each product and visit the Amazon page to see other reviews, too. Haan Multi Purpose Floor Steamer Great on tile, stone, and wood. You can even use it to freshen carpets. I use mine to clean floors, of course — it’s brilliant at wiping paw and footprints, food spills, and other messes. Plus the steam sanitizes, so I also use it now and then on my shower walls. Bissel Turbo Sweeper Thanks to an electric-powered rotary brush this nifty thing picks up crumbs, pet hair, and dust from hard floors as well as carpets. I use mine nightly in the kitchen, and to go over high-traffic areas on the rug when it’s not dirty enough to vacuum. ILIFE Robot Vacuum Speaking of lazy… a friend gave this robot vacuum to me for Christmas in 2015. I’ve used it just about every day since to deal with pet hair. It’s fantastic on hard floors and gets the surface of carpets clean between deeper vacuumings. I schedule it to run after I’ve gone to bed and wake up to clean floors. Zwipes 24-pack microfiber cloths I’ve been using these things for years. Yes, Amazon sells their own brand version that’s a bit less, but I don’t like them as much. The Zwipes feel thicker and last longer. I use each of the three colors in the pack for different purposes: green to dust, blue for general cleaning, and yellow on toilets. 3-pack spray bottles I bought two sets of these spray bottles in 2011, and I am still using them! They never seem to clog or leak, and they fit my small, pudgy hands just right. Extension dusting kit As a short person, this tool gets a lot of use in my home. It’s great for reaching cobwebs and ceilings overhead, but also works to dust baseboards — one of my least favorite chores. I’m a bit frustrated they no longer include the ceiling fan attachment and squeegee, but the pole has a universal end so you can get them from other brands. Cleaning caddy It’s not fancy, and it’s not even pretty, but this tote is handy! I stash my spray bottles of homemade cleaning mixes, a set of rubber gloves, and microfiber cloths in mine. When it’s time to clean, I’ve got everything I need… except an excuse to get out of it. Dawn Liquid Dish Soap This stuff is one of my go-to grease cutters. Maybe that’s why they use it to clean wildlife after oil spills? It’s excellent on dishes, of course, but also a key ingredient in my mattress cleaning recipe and homemade soap scum remover. Oxiclean Oxygenated bleach is a color safe alternative whether you’re dealing with laundry stains or spills on your carpet. I’ve even been known to add some to my carpet shampooer! It does a beautiful job cleaning grime on outdoor furniture, too. Hydrogen Peroxide 3% It’s a great way to sanitize cutting boards and kitchen surfaces and works wonders getting out blood stains. Essential oil set I’m not a representative of any particular essential oil company, so I’m not going to try to convince you that one (outrageously expensive) brand is infinitely superior to another. I was given my first set of these oils years ago, and have been buying the same brand ever since. They smell great, work well, and are affordable. Flexible dryer/refrigerator lint brush – Clothes dryers collect an incredible amount of lint which makes them less efficient and poses a severe fire hazard if left to accumulate. In homes with pets, refrigerator coils gather hair which also reduces energy efficiency and makes your machines work harder. This brush is super easy to use: slip it down the dryer vent or run it through the fridge coils — after unplugging the machine, of course — and you’re good to go. Rotary Brush Attachment Kit Although designed to be used in your dryer’s outdoor vent and hose — where it works very well, too — I use to clean my own air ducts. Just attach it to a power drill and slip it down the duct to dislodge dust. Universal gutter attachment for leaf blower As I mentioned, I’m short. That makes cleaning gutters a pretty risky thing since I live in a 2-story home. This thing spares me from having to climb on a ladder — I just put it together, slip it over the leaf blower, and whoosh all of the debris out of the gutter without ever leaving the ground. Folding step stool It’s that short person thing again. Whether I need to reach tall blinds or my secret stash of candy, this step stool makes it possible. Then it folds away and fits perfectly next to my dryer. Household scrub brush Thanks to the handle, this makes the miserable task of scrubbing grout just a bit easier. It’s also great for tough carpet and upholstery stains or getting dried mud off your sneakers. Long-handled scrub brush Great for cleaning vases, garbage cans, and other places where a hand-held scrub brush doesn’t reach. If you want to use it on dishes, buy a second. They’re inexpensive. Micro attachment for vacuum cleaners Get in all of those little places where the dust settles. I clean my computer keyboard, that annoying spot between the stove and counter where crumbs love to hang out, and the nooks and crannies in my car. Just be sure you don’t use it non-stop for extended periods or your vacuum cleaner’s motor will overheat. Hypoallergenic Waterproof Mattress Cover This isn’t the crackling plastic cover you probably remember from childhood. The top surface of this protector is terrycloth, so there’s no noise, and you won’t feel like you’re sleeping in a pool of sweat, either. Meanwhile, it keeps your mattress from absorbing perspiration and other bodily fluids along with dust. Plus, it’s machine washable. Silicone Splatter Screens – Stash it in your microwave to remind everyone they need to cover food before heating. Pop it in the dishwasher between uses. You won’t have to scrub your microwave ever again. Silicone Baking Mats – Stop spending money to line baking sheets with parchment paper and use these instead. They’re great to roll out pastry and pie crusts between, too. Vegetable Chopper – Dice, chop, and julienne with one stroke using this thing. If you have arthritic hands, not-so-great knife skills, or just like to save time in the kitchen, this is SO worth it. I love mine! FoodSaver – Leftovers stay good twice as long — even avocado halves! If you like to buy meat in bulk, this will keep it frost-free and fresh-tasting in the freezer for months. Furniture Scratch Repair Sticks – Fill and hide scratches in wood furniture and floors with these handy crayon-like sticks. Heavy Duty, Absorbent Floor Mats – Keep dust and grime out of your house by putting mats inside and outside at each entrance. These are easy to wash and vacuum. They absorb water, but the rubber backing keeps it from reaching your floors. They come in a variety of colors, too. Felt pads for furniture and small appliances – Stick these on the bottom of chair and sofa legs, use the strips under bookshelves, and pop the little dots on the base of small appliances. Voila – things move without leaving scratches on your floors or countertops. Beeswax and Orange Oil Furniture Moisturizer – Used on unpainted wood surfaces, this easy to apply fluid revitalizes, moisturizes, and shines. It can make old, dry wood furnishings and floors look new again.